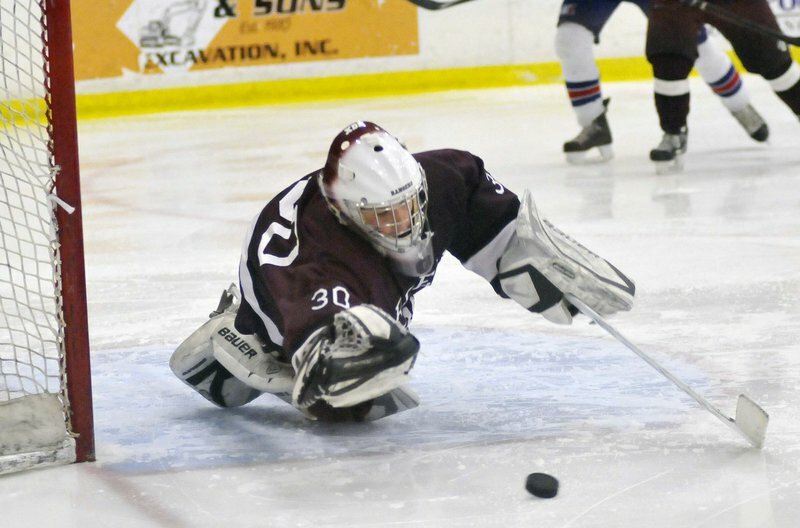 Greely may not have to wait another four years before it wins another Class B boys’ hockey state championship. In 2009, when the Rangers captured their first state title, the roster was tilted toward the senior class. The makeup of the squad that skated to a 6-2 win against Messalonskee on Saturday is much different. Forwards Peter Stauber, who scored twice in the state final, and Ben Hackett, who had a goal and an assist, provided senior leadership. Forward Kenny Richards, who had 10 goals and 11 assists, and defenseman Peter Storey, one of the team captains, represented the junior class. Sophomores Ted Hart, a center who had 10 goals and 14 assists, and Zac Doucette, a defenseman, also played key roles all season. Freshman forward Mitchel Donovan led the Rangers in scoring with 13 goals and 17 assists, and freshman goalie Kyle Kramlich started 20 of 21 games. THAT MESSALONSKEE reached the Class B state final is a credit to its coach, Mike Latendresse. In 1993 he played alongside Eric Fenton and Patrice Tardif on a line that helped Maine win its first national championship. Latendresse was a young player from Montreal whose English was limited, but his talent and stick-handling skills were not. He was Maine’s top scorer in 1994 and the only Black Bears player to be named to an All-Hockey East team that year. Two years later, an on-ice injury while playing for the Birmingham Bulls of the ECHL changed his life. A skate slashed his hand, severing every tendon except for the one that controlled his pinky. The surgery was successful. Latendresse came back to score 20 goals in the 1996-97 season for Birmingham. He scored 30 goals for the Wheeling Nailers in 1997-98. Latendresse played one more season and saw the end of his road. “I was a little more skittish.” He couldn’t grip his stick quite the same. He had married a University of Maine classmate. They decided to go home to Maine. The injury had changed his focus. Latendresse lives in Winslow with his family. He works for the Dead River Company. THORNTON ACADEMY’S C.J. Maksut is glad he stuck around for one more season of high school hockey, rather than heading to a junior team. “I love the team, and I came back to play with them and finish it the right way,” said Maksut, one of eight semifinalists for the Travis Roy Award as the top senior player in Class A.
Saturday night, Maksut had a hat trick as the Trojans skated to a 5-1 win against St. Dom’s to claim their second consecutive Class A. — Staff Writers Paul Betit and Steve Solloway contributed to this report.